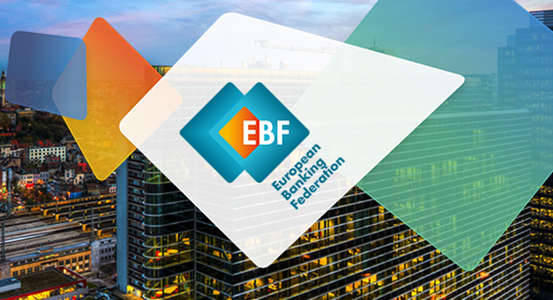 Brussels, 7 November 2017 – The European Banking Federation has responded to the European Banking Authority’s consultation on the aim of seeing the creation of a customer-centric and inclusive ecosystem in which all actors, ranging from small start-ups to established multinational banks, are committed to serving clients with innovative financial services. FinTech refers to “financial” and “technology” meaning the application of new technologies to financial services. It is however sometimes understood as referring only to start-ups or tech-giants that develop innovative financial services solutions. Innovative financial technology based solutions and services are increasingly being developed by banks. This is why it is important to point out that the “FinTech” concept should be understood as finance enabled by or provided via new technologies, affecting the whole financial sector in all its aspects, in line with the definition proposed by the Financial Stability Board (FSB) in its report on Fintech published in June 2017 and the one proposed by the Basel Committee for Banking Supervision (BCBS) in its consultation document published in August 2017. Whereas the value chain increasingly includes alternative actors such as start-ups or tech giants, any actor can be a FinTech, regardless of the kind of legal entity it is. The FinTech concept should be connected to the products and services offered to the client and is therefore activity/services based. Banks are also FinTech companies. Consumers around the world are quickly becoming digital. They want to manage their money more proactively, to simplify and streamline the management of their financial portfolio, and be able to derive tangible benefits from their service providers. As a result, consumers expect a new kind of service proposition from banks, fitting to the digital age. 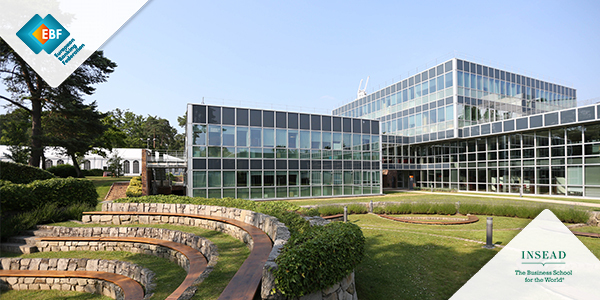 In response, banks – and other providers – are assessing, developing and using innovative and technological capabilities (such as open APIs, blockchain, robo-advice and machine learning) to develop new delivery channels as well as to enhance services and products that deepen the relationship with their customers. In this fast changing environment, consumer protection should remain the key priority. A level playing field has the role of ensuring consumers are not put at risk and that financial stability is maintained, irrespective of the service provider. Development in the field of FinTech could lead to a series of changes to financial services with new players, new solutions and new products / services. However, any changes must not undermine consumers’ data security nor their confidence in the European financial sector. The Digital Single Market is an opportunity for all operators willing to embrace the digital transformation: authorities, FinTech (banks, non-banking FinTech/FinTech start-ups) corporates and consumers. The same regulatory conditions and supervision should apply to all actors (large digital players, financial institutions and start-ups) who seek to innovate and compete in the FinTech system. Any regulatory framework must keep barriers to entry to a minimum, and should also not hinder incumbents’ ability to innovate and develop. The principle of “same services/activities, same risks, same rules and same supervision” should always be applied in order to ensure consumer protection and market integrity. Regulation should also be neutral regarding technological developments and business models. For competition and a Digital Single Market for financial services to succeed, improvements are needed in current legislation, and regulatory requirements must be proportionate to ensure the current framework does not hamper innovation and competitiveness. Market incumbents must preserve a level playing field allowing some degree of connectivity to newcomers, however it is important to ensure that all market participants contribute to the appropriate level of investment in infrastructure. We are likely to see increasing cooperation and partnership among banks and new FinTech start-ups providing innovative products and services to the market. Indeed, the arrival of FinTech start-ups and the establishment of digital platforms has spurred innovation, accelerated the transformation of banks and opened a door to new win-win collaborations. While there are still good reasons for banks to rely on internal IT departments, there is considerable potential to create value — for themselves and the economy at large — by nurturing an ecosystem of start-ups and technology innovators that can assist banks in developing shared platforms thereby increasing resilience and cost effectiveness of banking and payment systems. Banks have a lot to offer to FinTech start-ups, in particular, specific financial expertise (risk assessment, evaluation and management), scalability owing to their large customer base, as well as many years of experience in providing clients with operational security in a highly regulated sector, not to speak of financing needs. The respective strengths of both banks and FinTech start-ups mean that both will often do better by cooperating rather than by competing.